In a number of pre-clinical studies, the Apta-1 drug candidate has shown a multifaceted functional profile that distinguishes it from many currently available treatments. 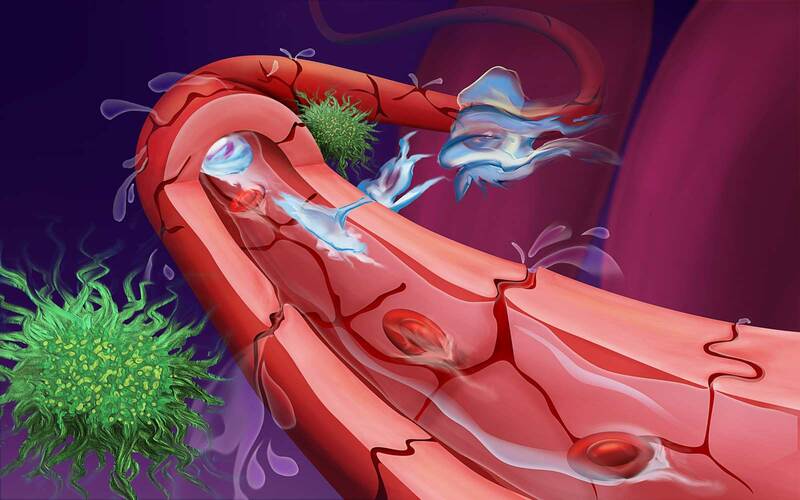 In addition to the fact that the drug candidate has shown a positive impact on several central factors related to the coagulation process, it has also shown antithrombotic effects, i.e. reduces the size of blocking blood cells. The drug candidate’s antithrombotic and anticoagulant properties were documented in a series of targeted studies performed with carefully selected development partners in North America, Asia and Europe. The Apta-1 drug candidate has the ability to effectively influence the coagulation system, and has also demonstrated in comparative preclinical studies to inhibit a number of inflammatory factors in combination with having a powerful stimulating effect on anti-inflammatory response. The result-yielding studies compared Apta-1 with one of the world’s most commonly prescribed drugs, Dexametason and was performed in collaboration with Aptahem’s Boston-based partner, Hooke Laboratories. Similar results were achieved as in the studies that evaluated Apta-1’s anticoagulant effects, and Apta-1 was shown to be highly effective in non-toxic doses.